RAF London - ROUTE A Following a multi-million pound redevelopment this popular museum has now re-opened for the visitor. As part of the redevelopment new permanent exhibitions including ‘RAF Stories: The First 100 Years, 1918-2018’ plus a new grassed 'airfield' in the centre of the site have opened. 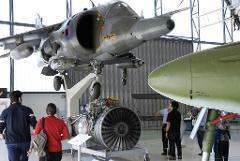 Only 6 miles from central London, the Royal Air Force Museum London offers FREE admission to all. The Museum houses a world-class collection of aircraft, aviation artefacts and memorabilia based at The Royal Air Force Museum's London site at Hendon. There is plenty to see - more than enough for a days visit! There are different exhibitions in separate hangers which include Milestones of Flight, Bomber Hall, Battle of Britain Hall and Marine Craft Collection. 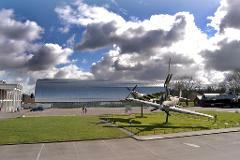 There is much, much more plus an excellent restaurant and gift shop..